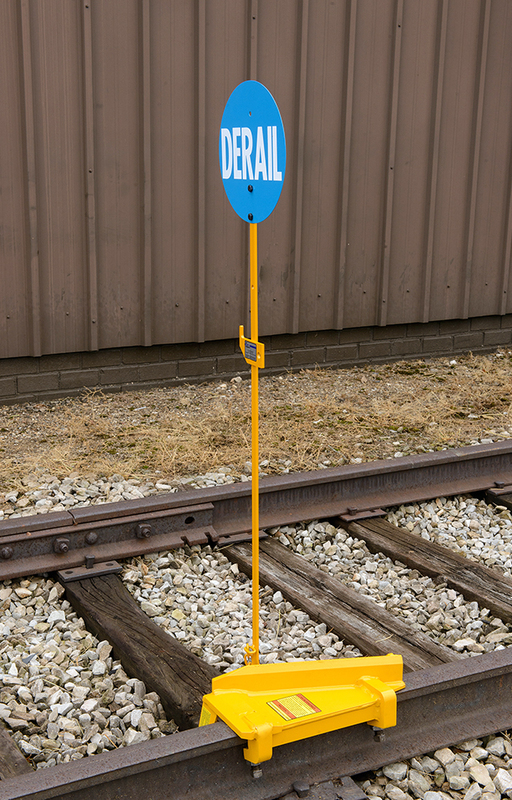 The Nolan Company – Manufactures a wide range of quality rail maintenance and safety products. 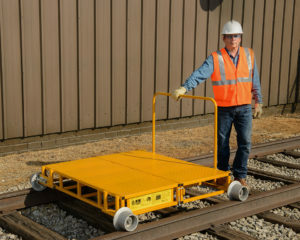 The RS-3 Rail Skate is a lightweight (20 pounds) fabricated steel skate designed to slow down moving rail cars even on a slight downgrade. The RS-3 fits rail heads between 2-1/2″ and 3-3/16″ in width (85-141 lb rail sizes) and prevents flat spots on wheels from occurring as a result of excessive hand brake use. 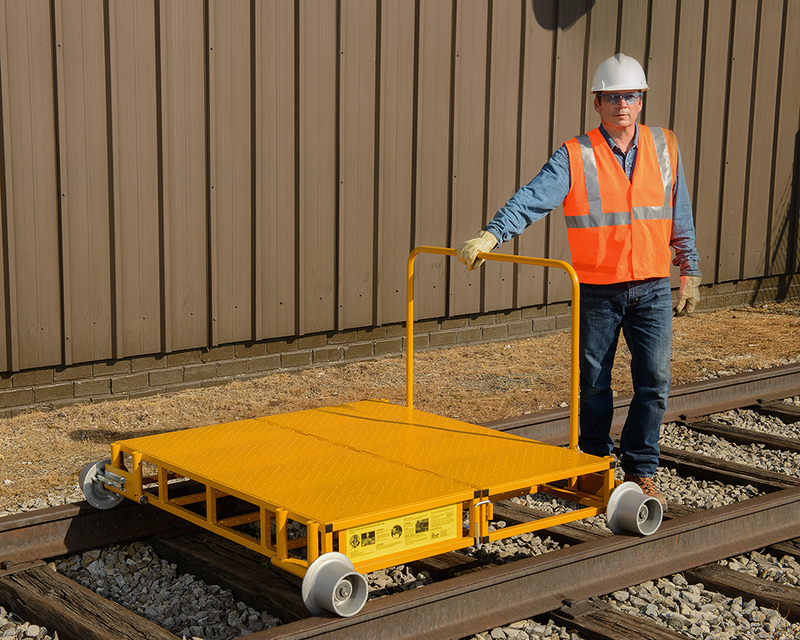 The RS-3 is easily handled by one person, yet offers heavy duty performance that meet track yard requirements. 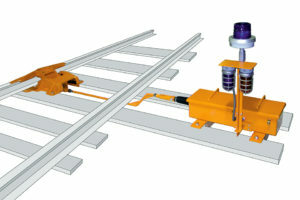 NOLAN’S LOW-PROFILE SLIDING DERAILS SERIES — WITH AUTOMATIC DERAIL OPERATORS! Incorporate a decreased deflection angle and a new “low-profile” design. Will derail all rolling stock, including mainline, six-axle locomotives. Made from alloy carbon steel. Available in single- or double-end models. 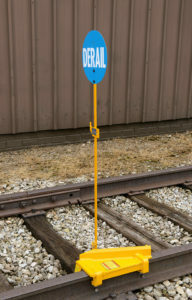 Available for use with Nolan’s automatic derail operators, air-powered or electric. NOLAN’S LOW-PROFILE PORTABLE DERAILS — FEATURING THE NEW PD-6! Covers broader range of rail sizes — 80-141 lbs. Available in left- and right-hand throw (PD-6L and PD-6R). Are made from high-strength steel. Are available in SINGLE-END (PD-4/PD-6 — left or right throws). New derail model PD-6L/PD-6R replaces model PD-5L/PD-5R, which are discontinued. Increasing the height of the handle by eight inches allows better posture and reduced stress when moving the cart, especially when transporting heavier loads. Re-sized handle is still usable at either end of the cart, allowing users to change the cart’s direction without removing it from the track by removing handle from one end and inserting it into the other end of the cart.